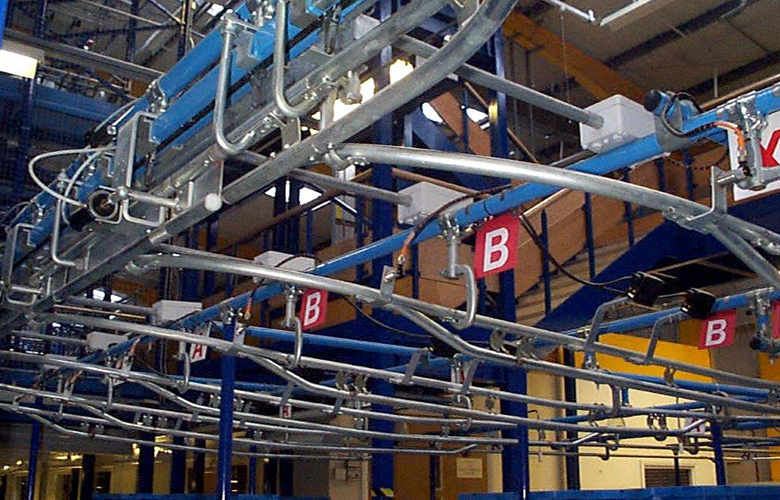 FM Nicholson offers a wide range of Overhead Conveyor Systems from light duty to heavy duty in power and power and free configurations. 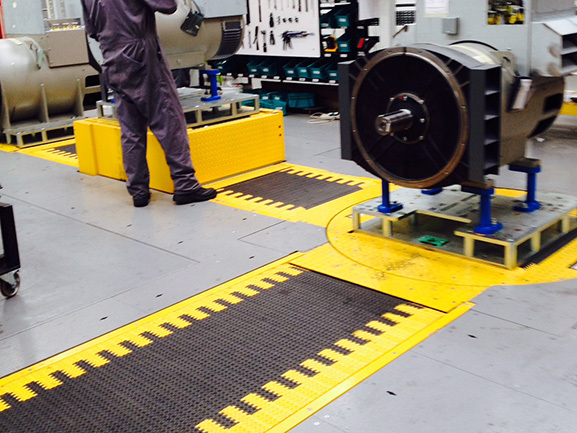 With the flexibility of Overhead Conveyors, vertical height variations can be overcome with relative ease. 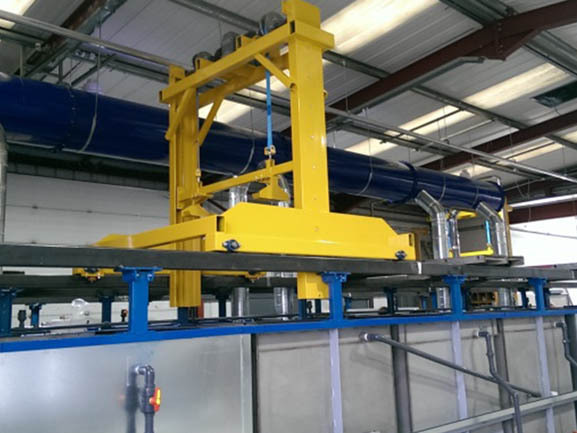 They can operate at steep angles and even vertically in certain applications. 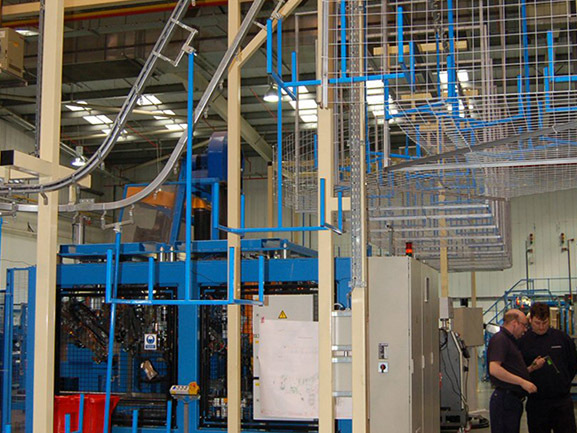 From handling light cartons to/from production lines to conveying 5 tonne loads through a finishing plant, systems can be designed to operate at ambient or temperatures up to 250° C.
Automatic feed and discharge to/from carriers can offer labour savings and relieve the effort and stress of manually handling heavier components. 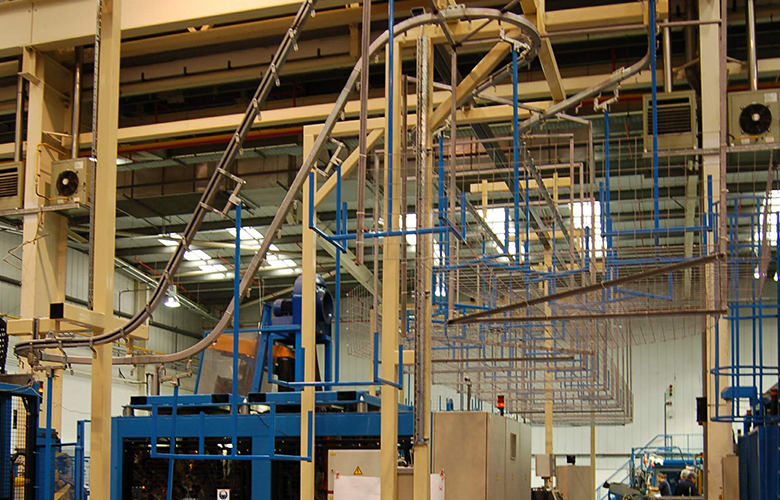 The speeds can be matched to production rates and easily controlled to allow a variation in speed for different manufactured products. 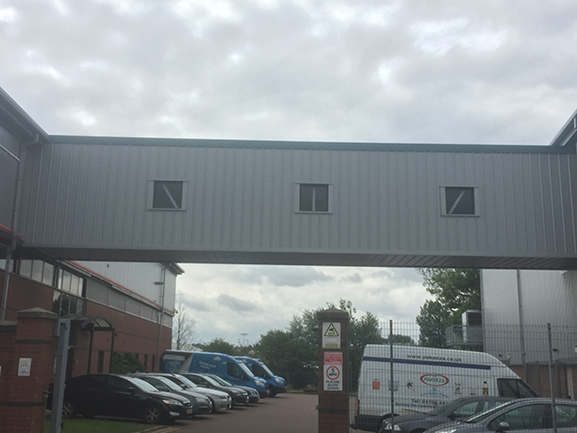 Overhead Conveyor Systems can also be roof mounted, leaving a completely free floor area for access and production.